Diet pills are such a hit today for so many reasons, one of which is the huge variety of diet pills available in the market. However, not all diet pills can work wonders in your figure. Before anything else, there are things to be considered before relying on one. The fast standard of living of an individual can affect one’s eating habit. Today, many people are getting heavier, that is why they try to look for alternative ways aside from exercising and dieting the natural way. Many people simply do not have enough time to exercise anymore because they are either too busy at work or they are much occupied in taking care of their families. Hence, they opt for diet pills. They are the fastest ways to lose weight. If you are the kind of person who wants to see results fast and gets bored with a healthy weight reduction plan, diet pill is the thing for you. More people patronize diet pills because it is very convenient. Most people cannot stop eating or cannot change their food preference. The pills can only help you lose weight. Given these information on diet pills, it is better to consult your doctor first before taking anything into your body. Follow the doctors’ prescription. Do not get excited and too much in a hurry by taking more than the number of pills prescribed to you. If you are under other medications, make sure to ask your doctor if it is OK to take the diet pill with it. 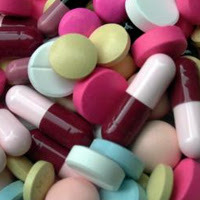 This is to prevent “drug mix up” because some may cause you trouble if the medicines simply do not go together. Such pills could sometimes affect your body in a negative way. It can affect your metabolism and your health in general. There are negative effects from the mildest to the serious ones. Such effects are diarrhea, insomnia, palpitating, hypertension and heart disease and a whole lot more. Some studies say that some people could also become immune with the diet pill. In other words, after half a year of taking the diet pill, they start to gain weight again. Diet pills are really designed to combat obesity, but some people just become addicted to it. Even doctors stick to some guidelines when prescribing them. They also base it on your health history and if you used to be an alcoholic or drug dependent. It is better to think more than twice if you really need one. Who knows you might loose those extra pounds on your own. Check the ingredients of the diet pill. Some contains chemicals and unsafe products which can give you bad side effects. Choose diet pills which contain natural ingredients. It can be extract from plants, fruits, vegetables and flowers. Do not self medicate or rely on what your friends use. What is good for other may simply not be good for you. They are your friends, but not your doctor! It is not just some simple cosmetic, a shoe or a bag to go with the color of your dress that you and your friends can decide on. Diet pills are much complex than those things. Make sure you are buying the real thing. Some retailers might be selling imitation products. You do not know what it contains and what it can do to you. People should keep in mind that exercising and natural way of dieting still is the best of all. Change your choice of lifestyle little by little until you get used to it and find ways to strengthen your self-discipline.